The 12th IEEE International Symposium on Parallel and Distributed Processing with Applications (ISPA 2014) will take place in Milan, Italy, from August 26 to 28, 2014. It is currently calling for paper with the submission deadline at 11:59PM (UTC/GMT -11 hours) March 9, 2014. Hitoshi Oi is serving for ISPA-14 as a Program Committee member. 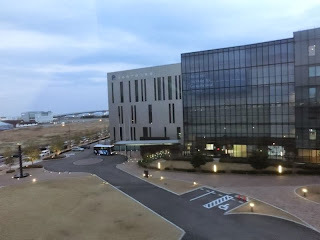 Hitoshi Oi attended the Next-generation I/O Workshop , held at RICKEN AICS, in Kobe Port Island. 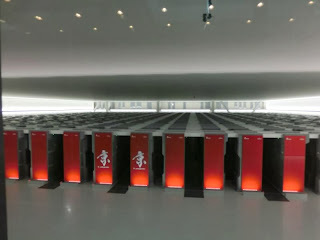 The workshop included an introductory tour of the K Computer for the workshop attendees. Do you know what we are ? We received email, asking if Post-Doc positions are available from PhD in Civil Engineering (even mixing up first name and last name of one of us). Can SPAMMING improve the chance of finding research positions in any way ? 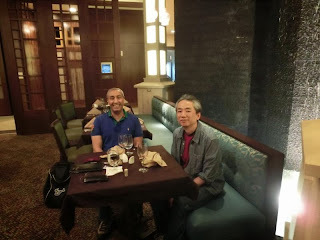 At SYSCON 2013, Hitoshi Oi met Dr Abdel Ejnioui. They were colleagues at a lab in the Department of Computer Science and Engineering at University of South Florida while both were studying for the PhD degree. 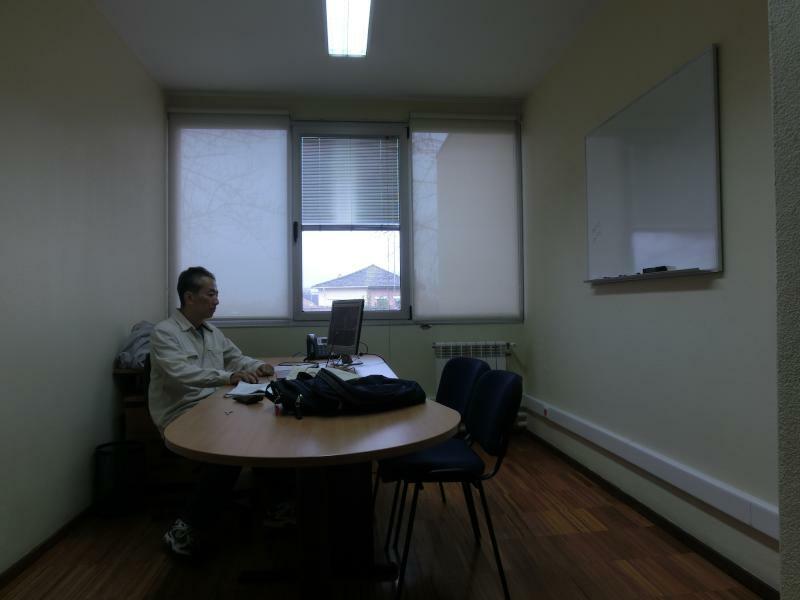 He was also visiting the University of Aizu in 2008 as a visiting researcher. 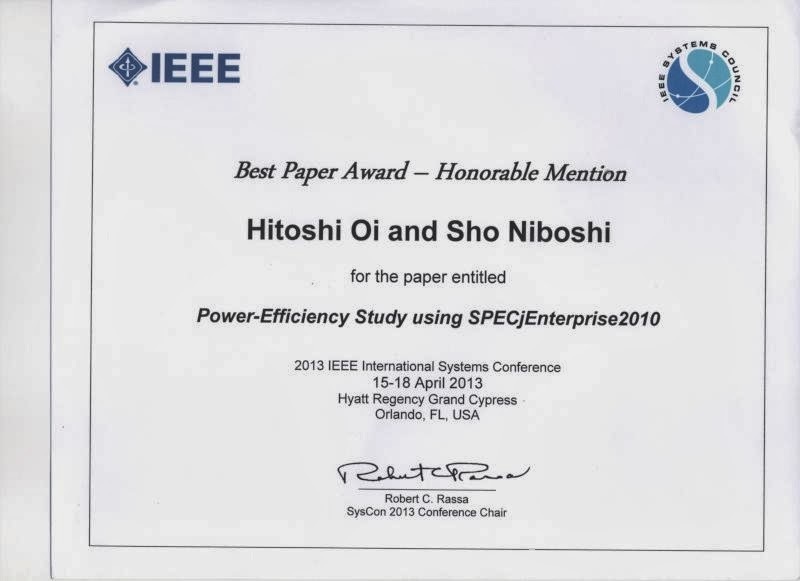 The paper presented at SYSCON 2013 (titled "Power-Efficiency Study using SPECjEnterprise2010," DOI: 10.1109/SysCon.2013.6549977) received the Best Paper Award (Honorable Mention). Hitoshi Oi is headed to Orlando, Florida, to attend 2013 IEEE International Systems Conference (SYSCON) . 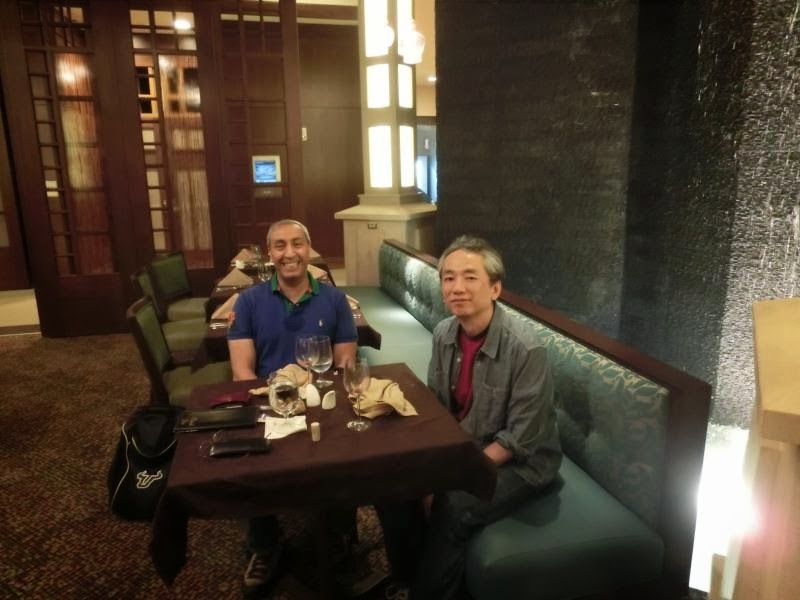 He will present a paper titled "Power-Efficiency Study using SPECjEnterprise2010" (co-authored with Sho Niboshi) and will also chair a session Critical Systems (from 8am to 9:45am on Apl 18). Returned from the trip to Portugal. During the visit to University of Porto, I had chances to give a seminar at the Center for Research in Advanced Computing Systems ((CRACS), discussed with Drs. 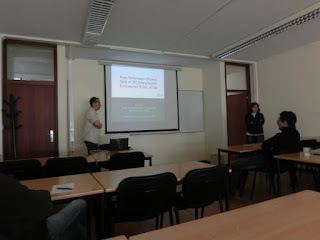 Ines Dutra and Joao Pedroso and their students, and students of Porto in person. Hitoshi Oi is visiting Departamento de Ciência de Computadores (Department of Computer Science), of University of Porto, Porto, Portugal. His plans during this visit include discussions on the research collaboration with colleagues and giving a talk introducing Aizu to the people in the University of Porto. 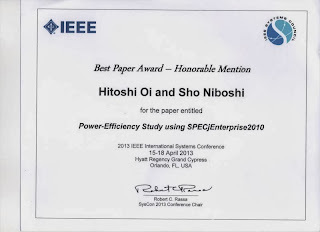 A paper, titled "Power-Efficiency Study using SPECjEnterprise2010" has been accepted for the presentation at the IEEE International Systems Conference , which will take place in April in Orlando, Florida. 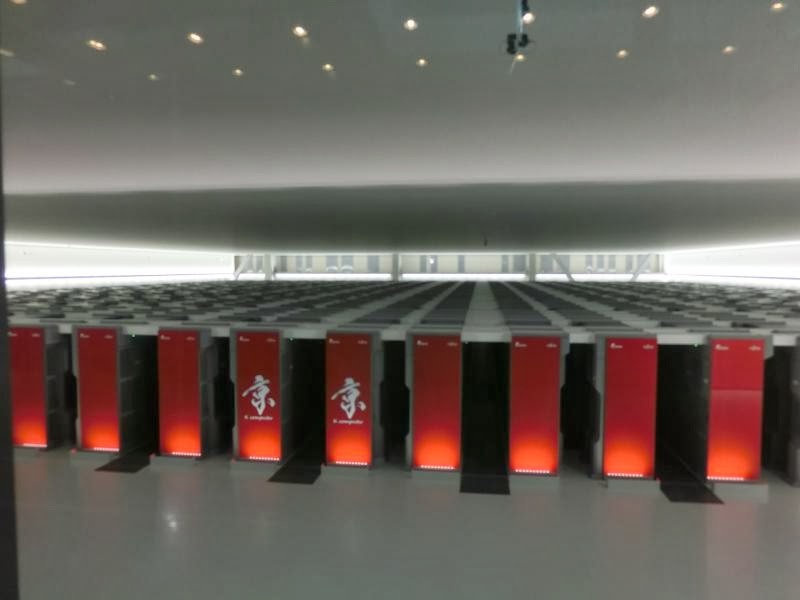 The paper is co-authored by Hitoshi Oi and Sho Niboshi, and presents a case study of the power consumption and performance trade-offs in SPECjEnterprise2010, an industrial standard benchmark for the Java Application Server.